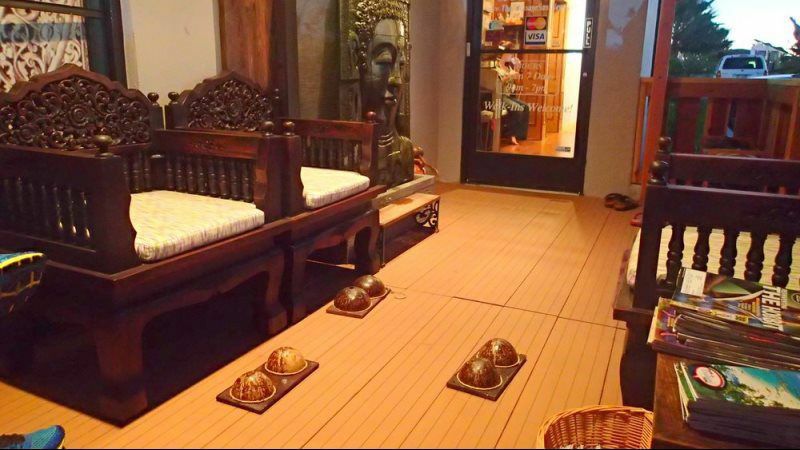 Our mission is to provide authentic Thai massage therapy at affordable price in San Diego. Our services will emphasize on pain relieve and relaxation in a professional manner by our team of experienced practitioners. Thai massage has many benefits and promotes well being. We currently have 4 locations, with varying pricing rates and hours of operation. Generally Thai massage is hard shiatsu massage; however, the pressure should be comfortable for the recipient. To receive the best benefits from your massage, feel free to let us know how much pressure you prefer. During the massage, close your eyes, clear your mind, relax and let the therapist provide a wonderful service. The basic goal of Thai massage therapy is to help the body heal itself and to increase health and well-being. Massage is not a cure for any serious conditions but it can be extremely beneficial in providing welcome relief from the symptoms of many ailments. You may receive Thai massages as often as needed. To maintain good health, it is recommended that you received your massage treatment regularly. It is not recommended to receive a massage when you are sick, feel weak, are very hungry or right after a meal. After the massage session, you need to re-hydrate by drinking a lots of water as it helps release toxins from your body. - Athletes or anyone who participates in strenuous exercise such as cycling, running, dancing, golfing, swimming, wrestling, working out yoga practitioner or weight lifting. Thai massage helps to relax the muscles, increase flexibility and allow the body to recuperate. - Pregnant women - the soft and gentle technique helps reduce back and leg pain. It helps to relax the mother and her developing child. - Musicians and other artists - Proper pressure is applied along the energy lines to help reduce pain and numbness in shoulders, arms hands, fingers and muscles. - Anyone who is on their feet all day and involves in physical work such as construction workers, factory employees and waitresses - Improves range-of-motion and decreases discomfort for patients with low back pain. and relaxes the entire body. - Travelers who drive or fly - Thai massage helps to reduce numb muscles and increase blood circulation.